Everything you need to create a spectacular mobile experience! The state of the Android ecosystem right now is the perfect storm, combining the factors for explosive near-term growth and long-term market dominance. 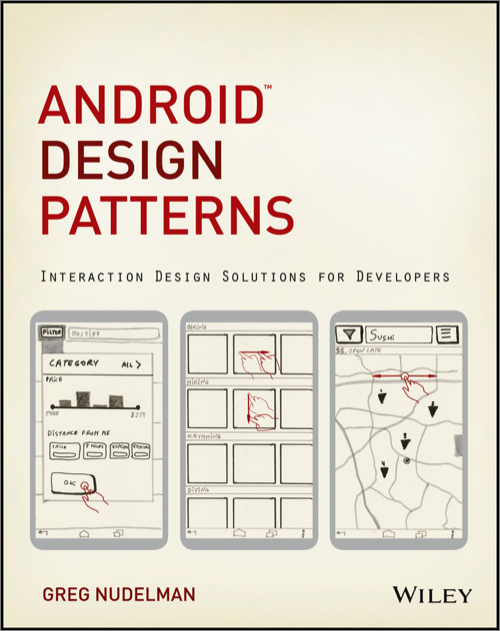 Now's the time to begin designing and developing Android 4 apps, and this book is about what works: patterns. Here are 58 essential interaction design patterns for handling the most challenging aspects of Android app design: the welcome experience, home screen, navigation, search, sorting and filtering, data entry, and forms. Equally important are 12 antipatterns, describing common mistakes to avoid in your quest for customer empowerment, delight, and enjoyment. Here's everything you need to create a spectacular mobile experience.